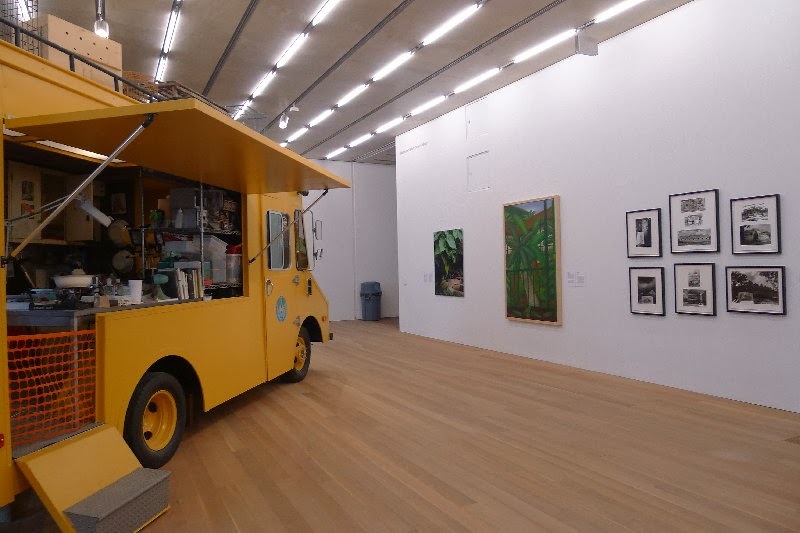 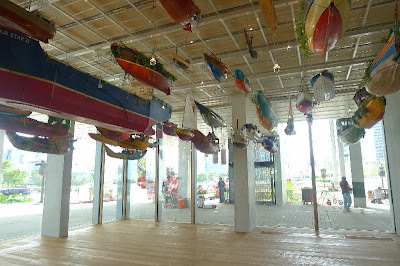 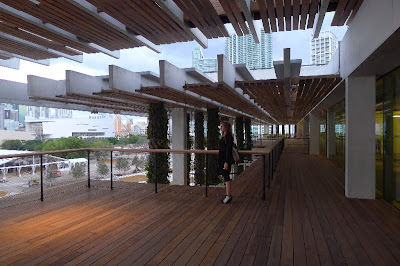 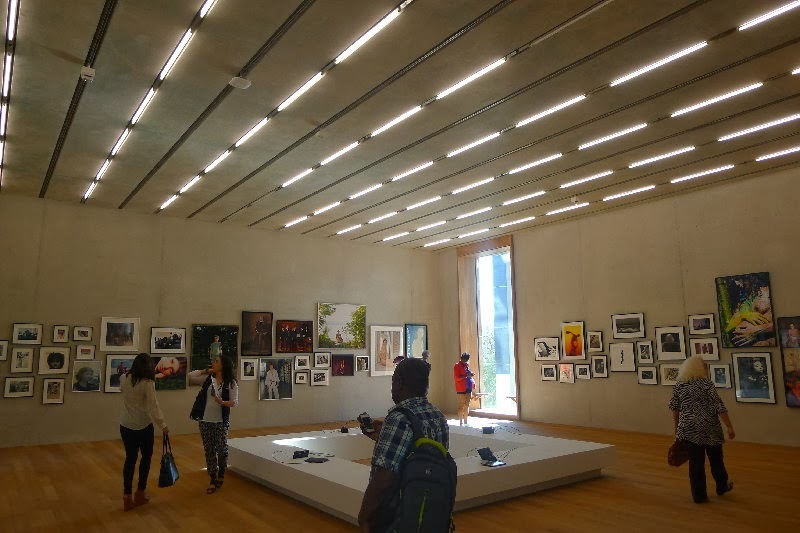 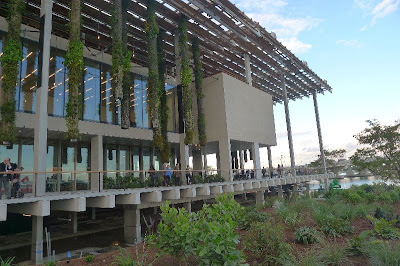 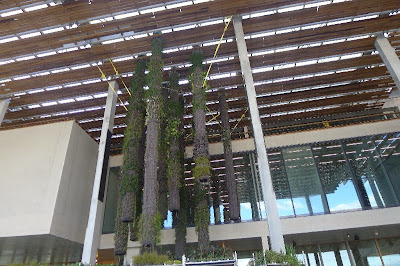 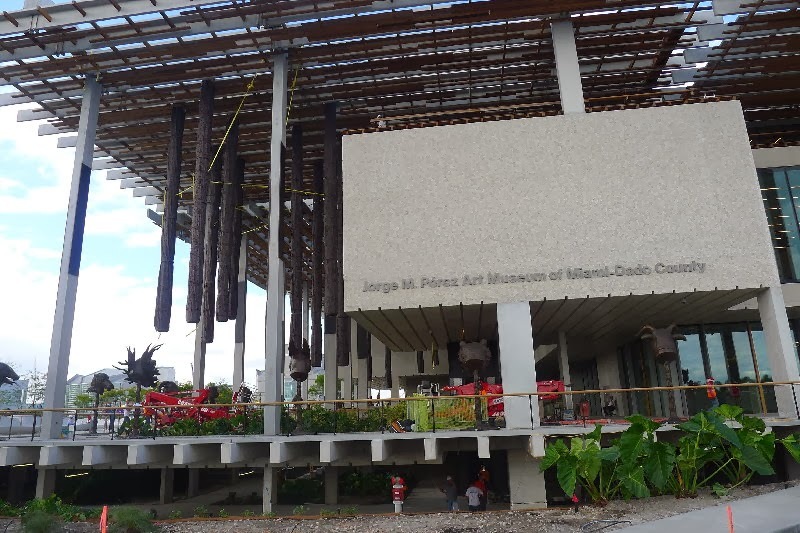 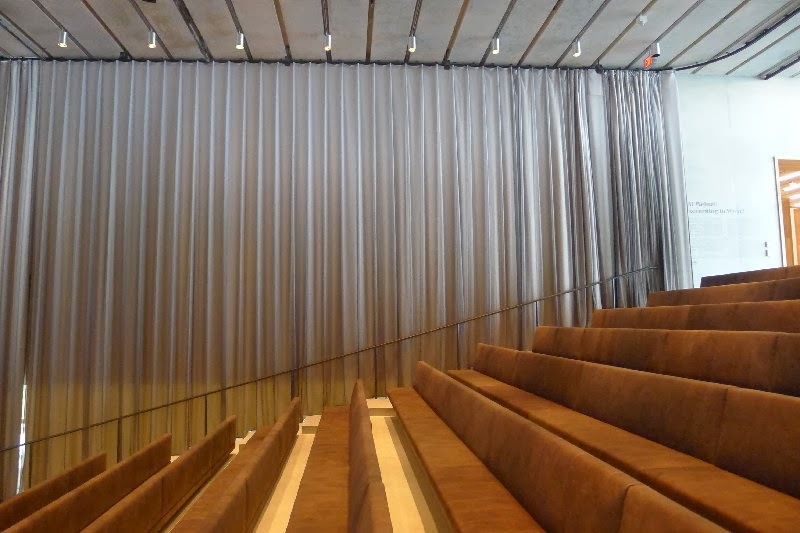 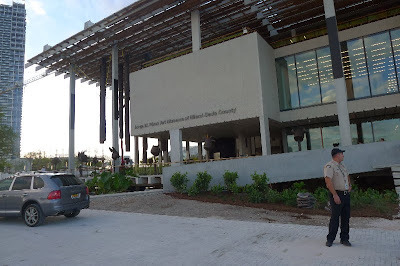 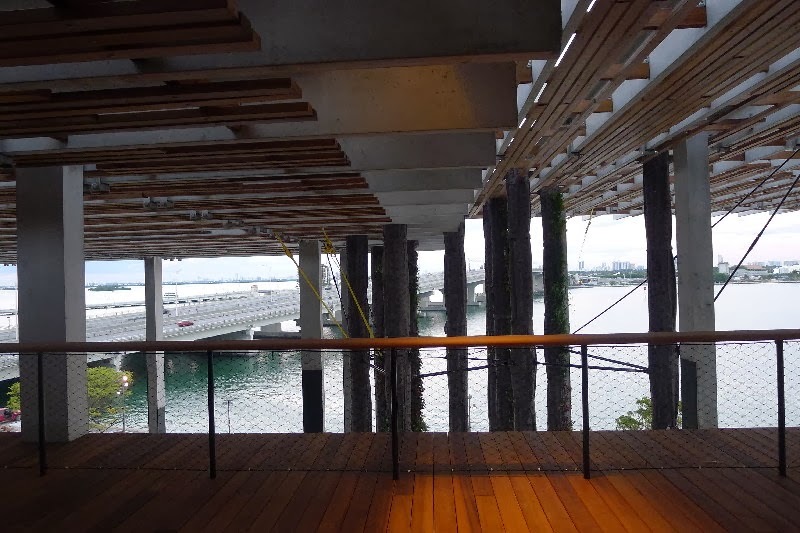 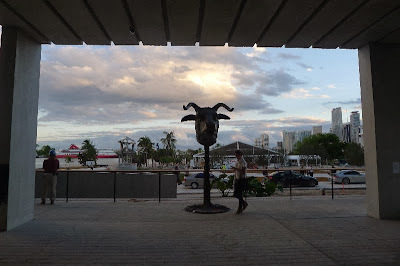 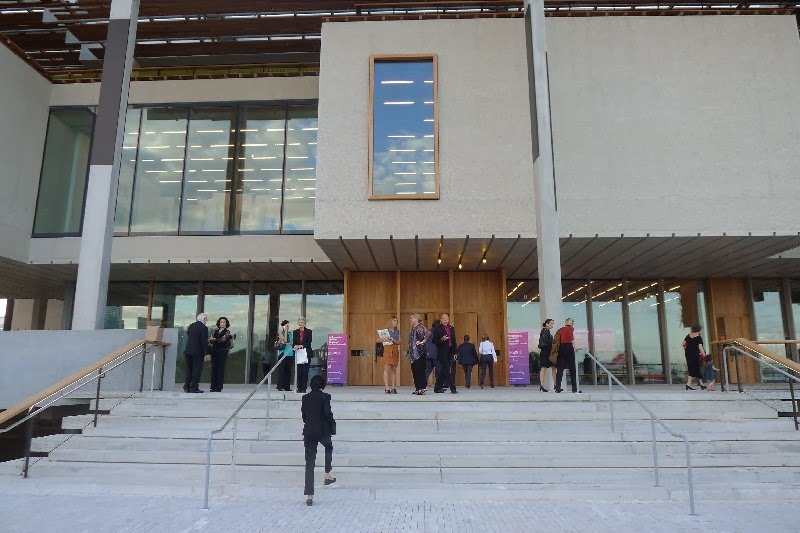 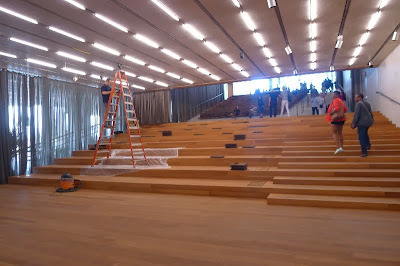 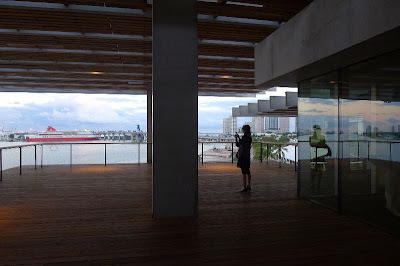 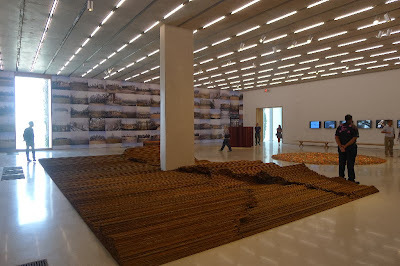 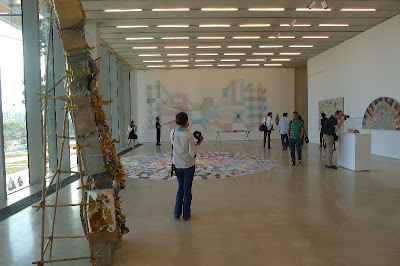 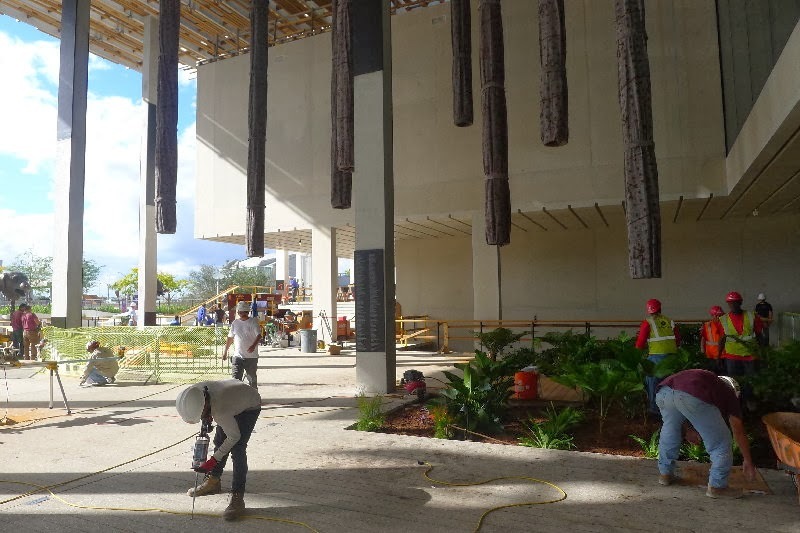 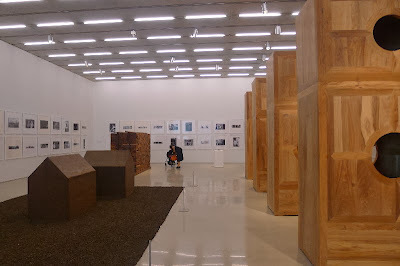 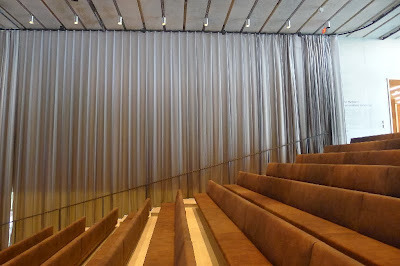 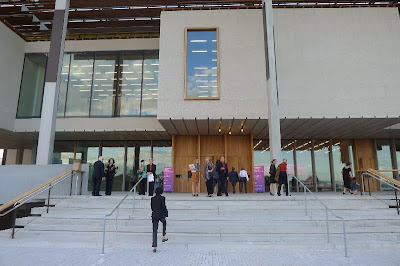 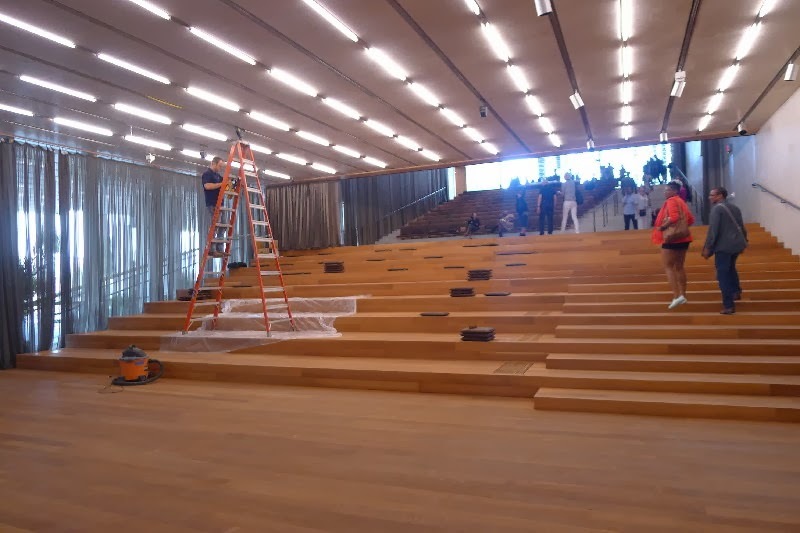 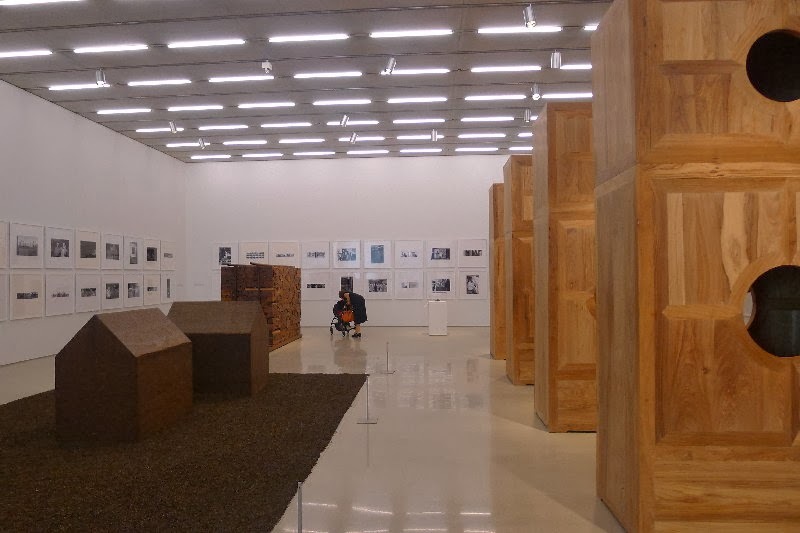 The building is like a Ceiba or a Banyan tree, where the columns become branches/roots that support the canopy and give shade underneath, in this way the Perez Museum becomes a tropical museum. In Jaques Herzog's words after a conversation with him in Miami, "it's about creating an architectonic language for the tropics that responds to to the climate and conditions of the place, not about creating air conditioned spaces which are like entering a refrigerator"... "We tried to create new architectonic typologies for the tropics, working with what would work in Miami's weather. 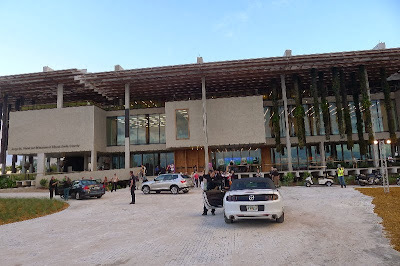 It wouldn't work to import European or North American typologies to the building. 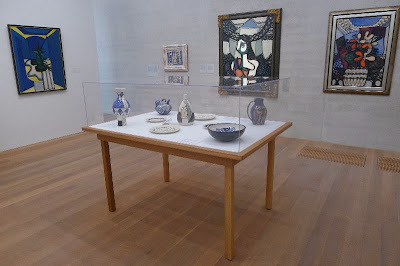 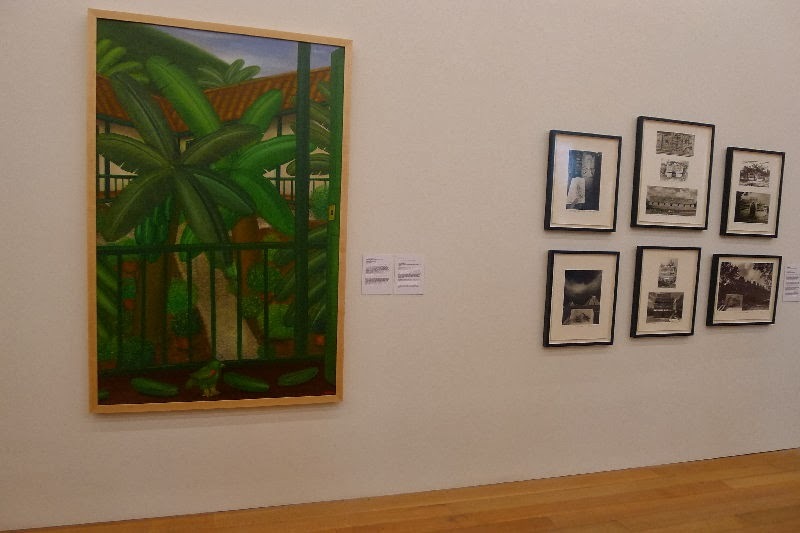 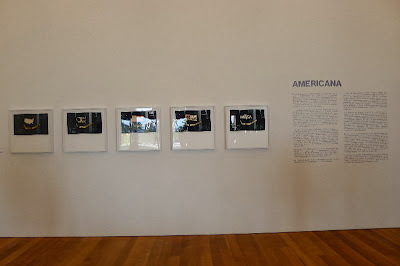 You have to cook with local ingredients, if not, it would be like cooking fondue for dinner in the tropics"
the Americana exhibition presents an expanded notion of what art in the Americas is, and in doing so, redefines American art history through works in the collection. 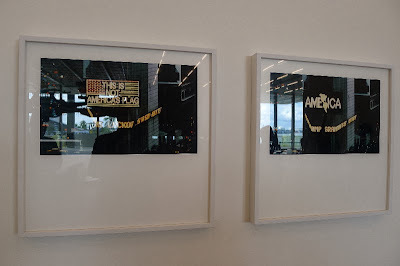 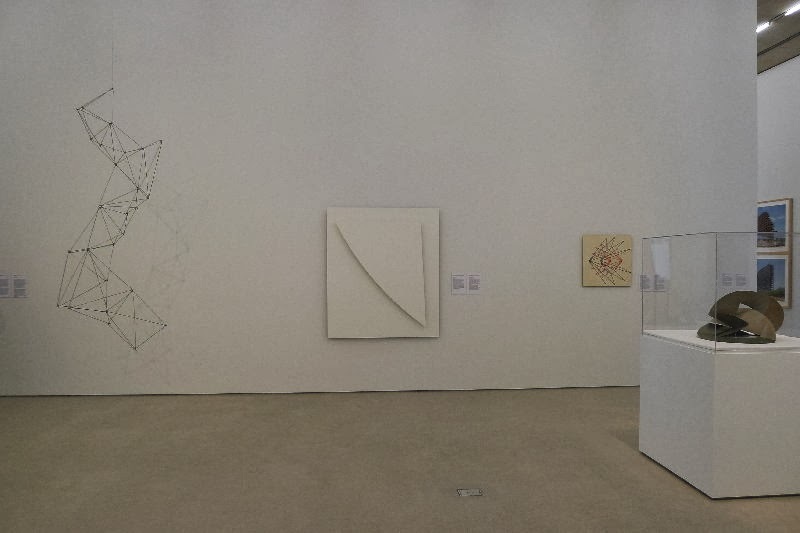 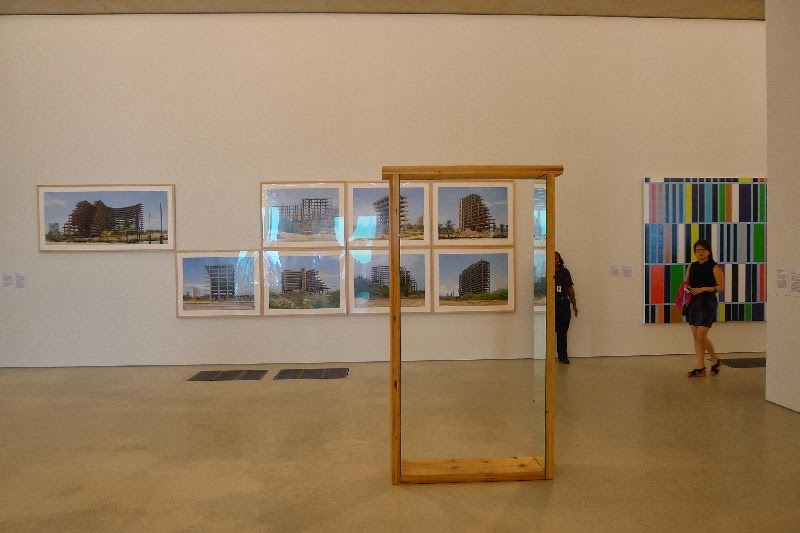 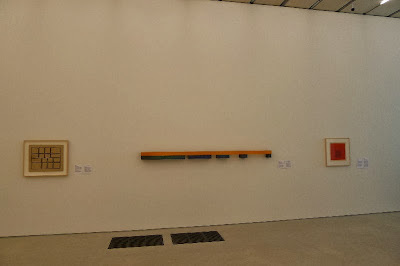 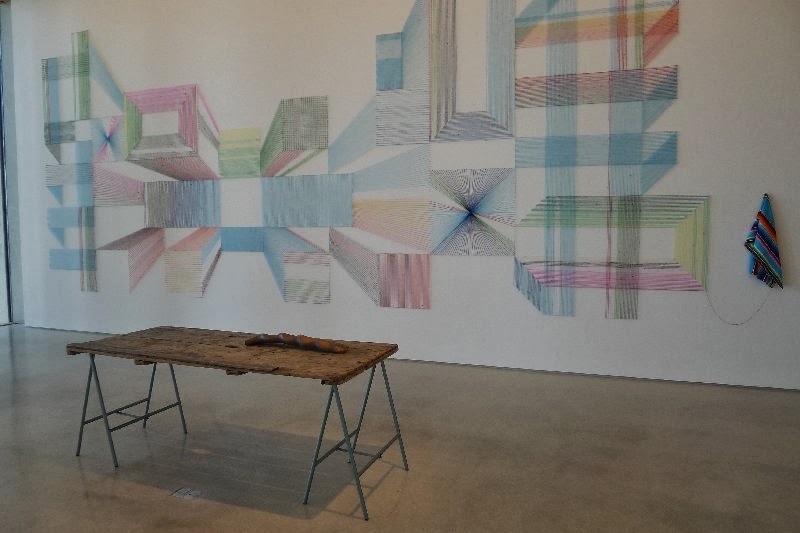 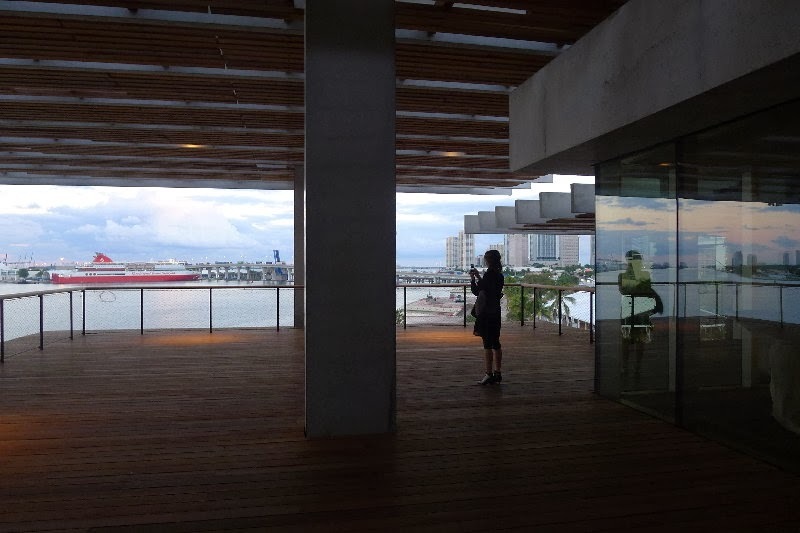 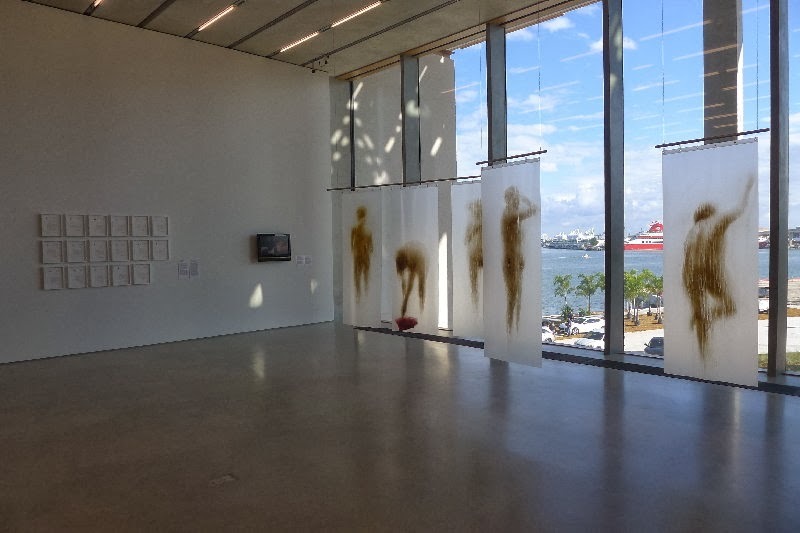 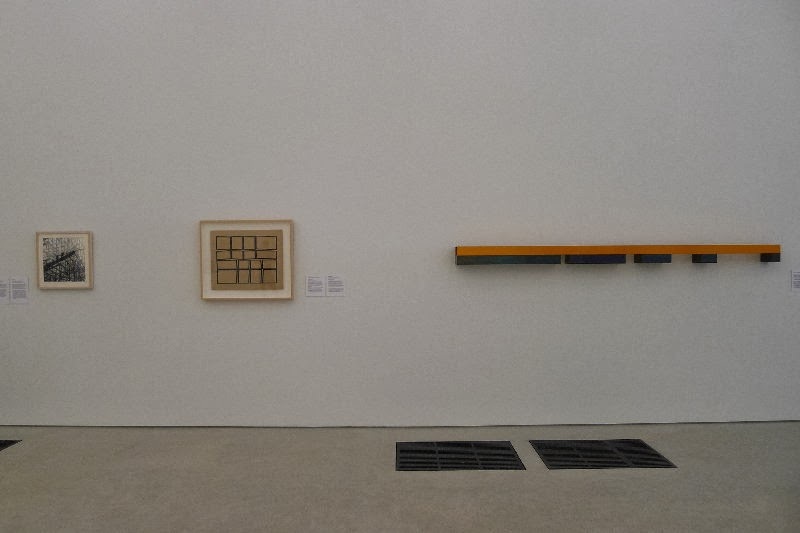 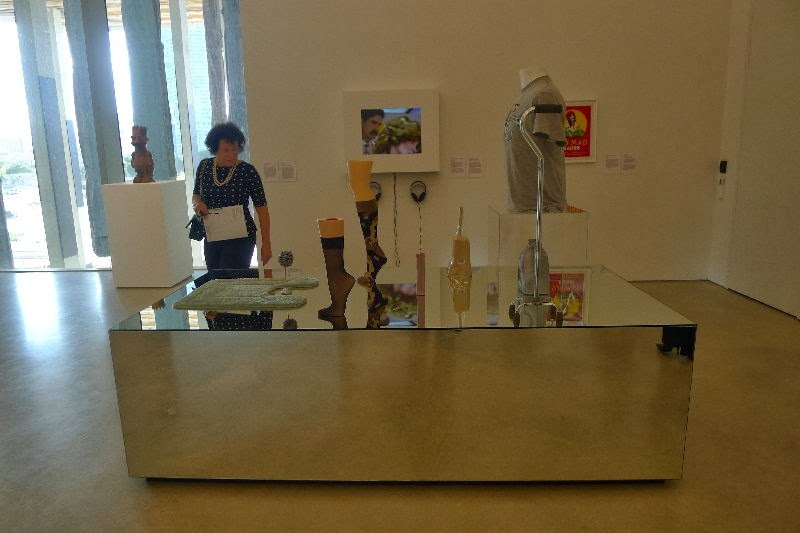 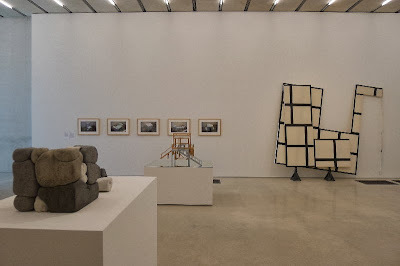 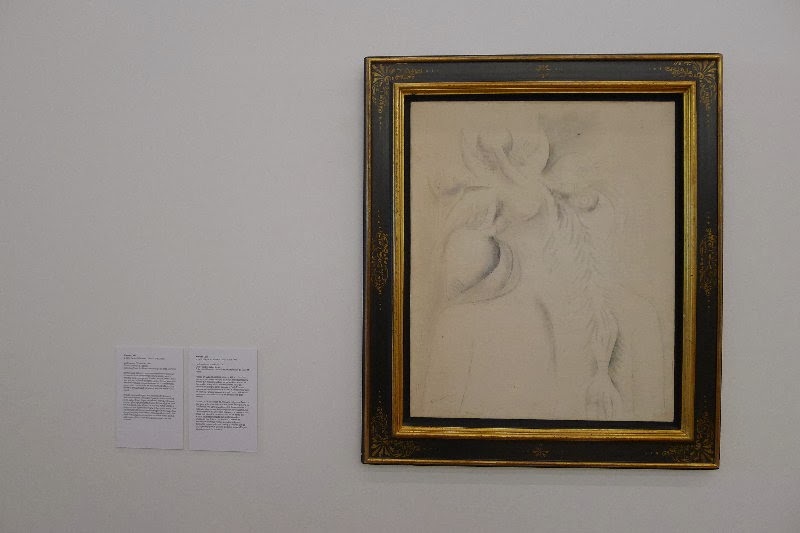 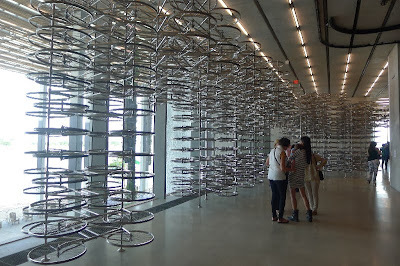 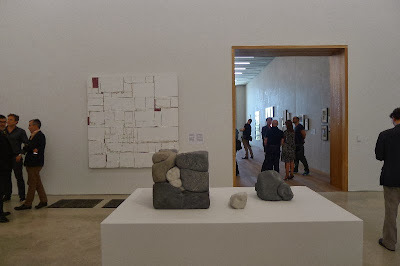 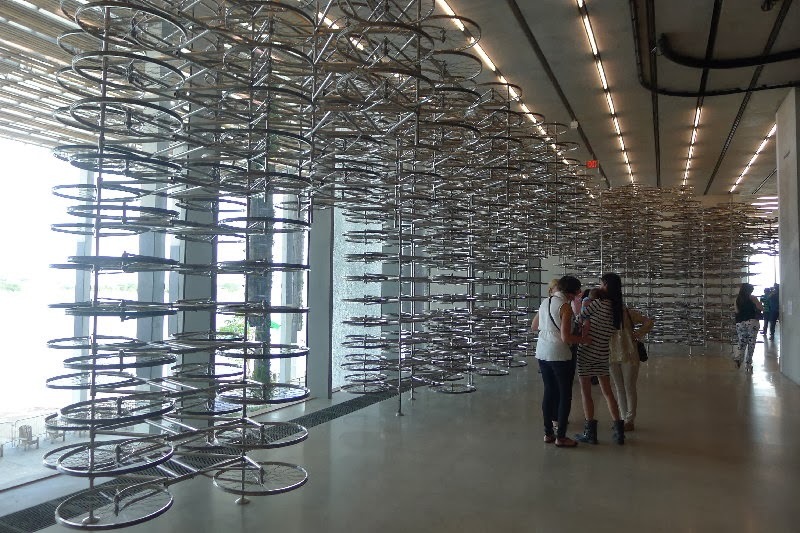 Using Miami as the axis from where to do this, the exhibition rewrites the history of art previously read as a linear history dominated by the European-AngloAmerican axis. 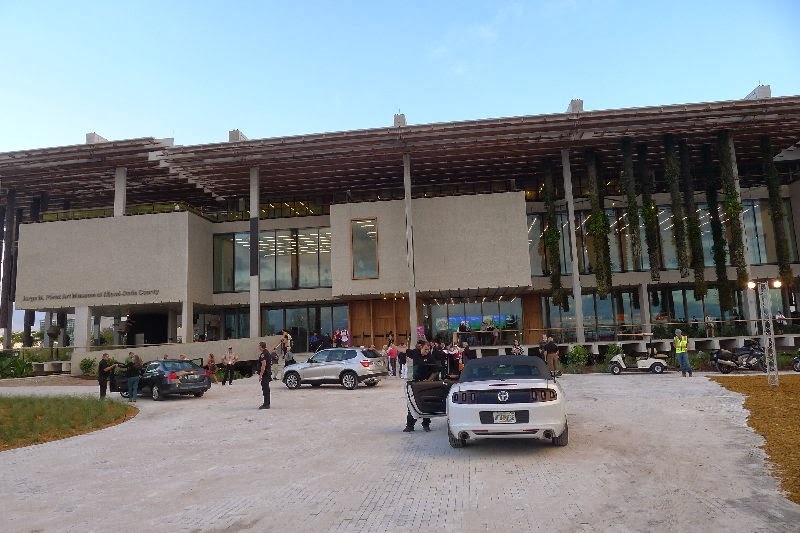 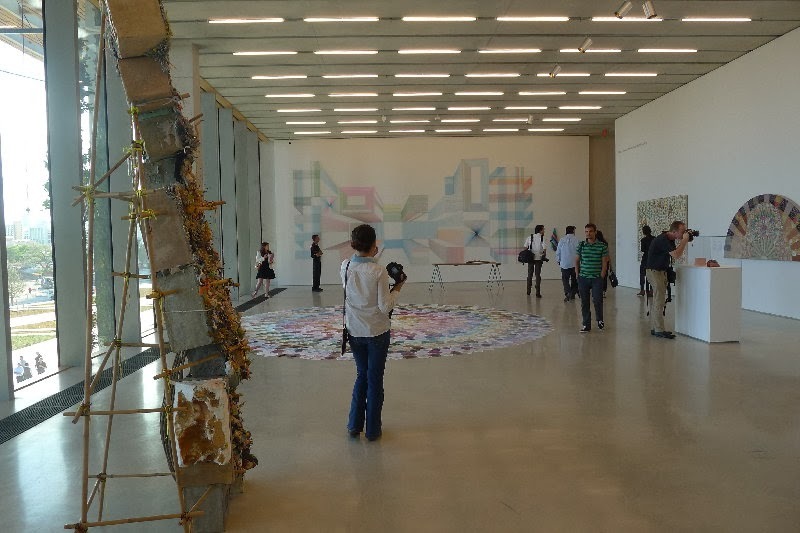 PAMM's chief curator, Tobia Ostrander (who previously was at Tamayo and El Eco in Mexico) presents an expanded field of works from the American continent. 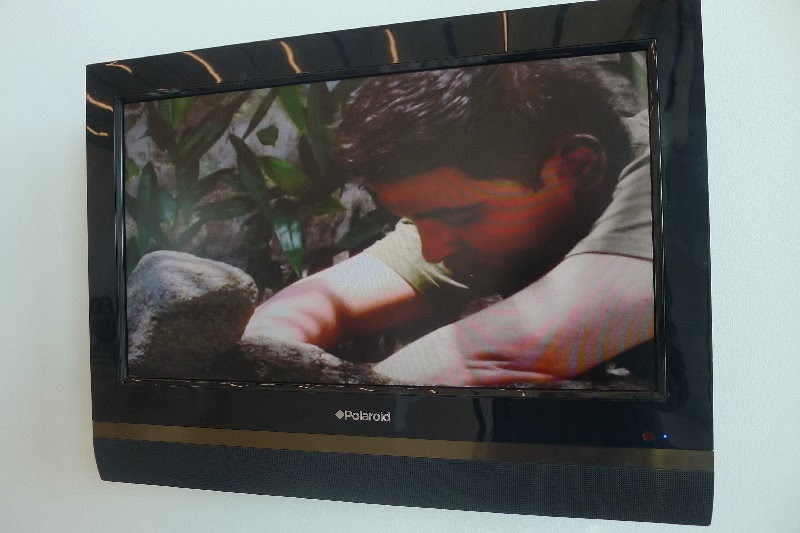 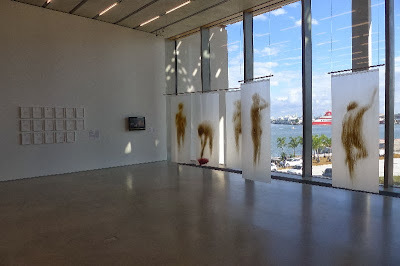 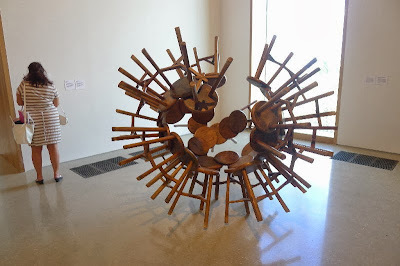 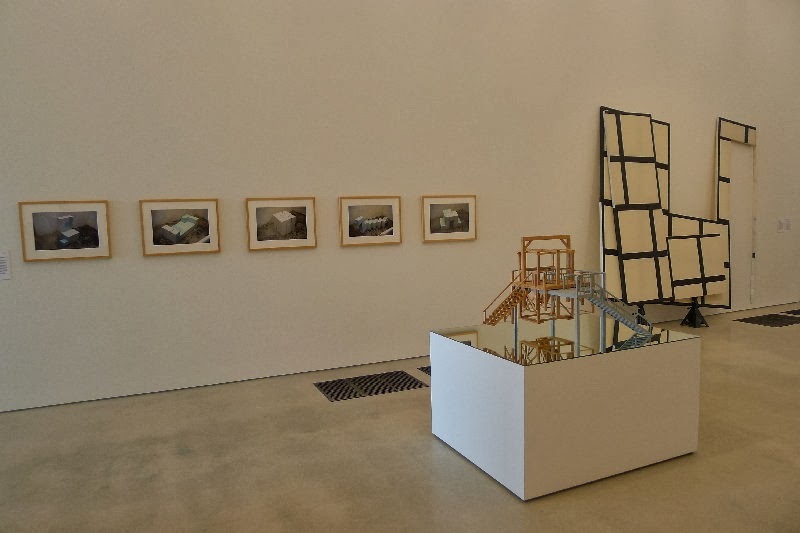 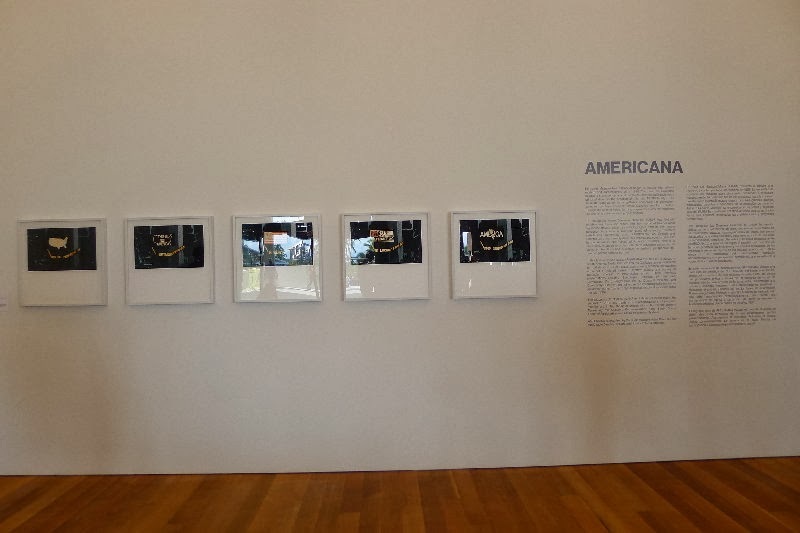 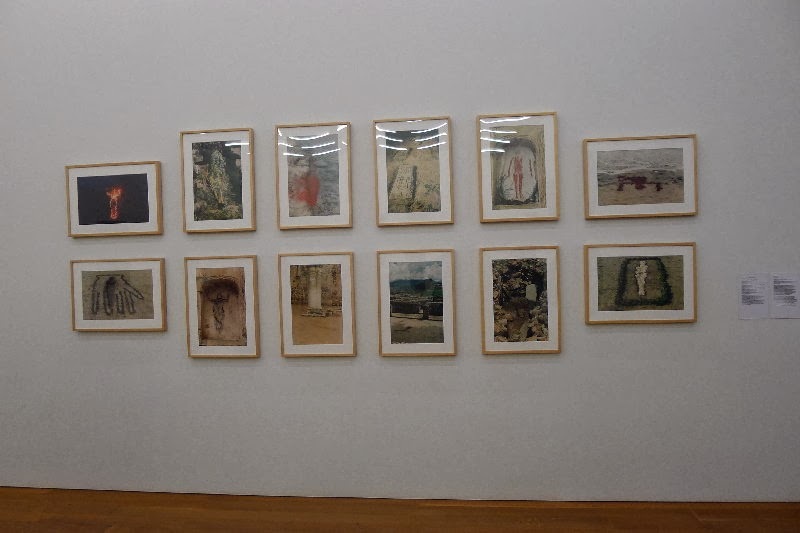 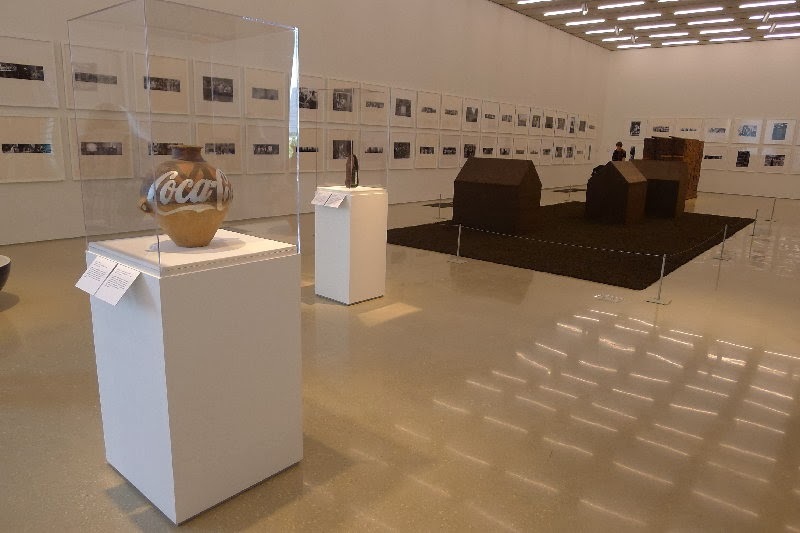 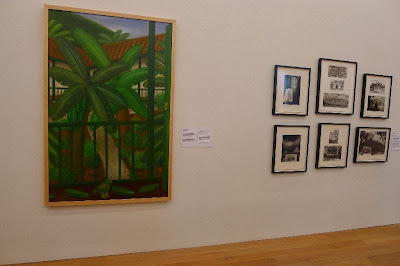 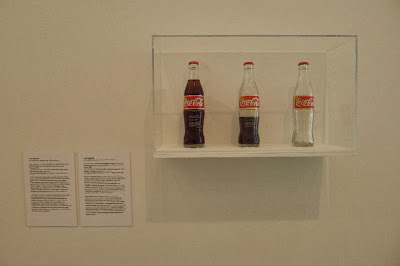 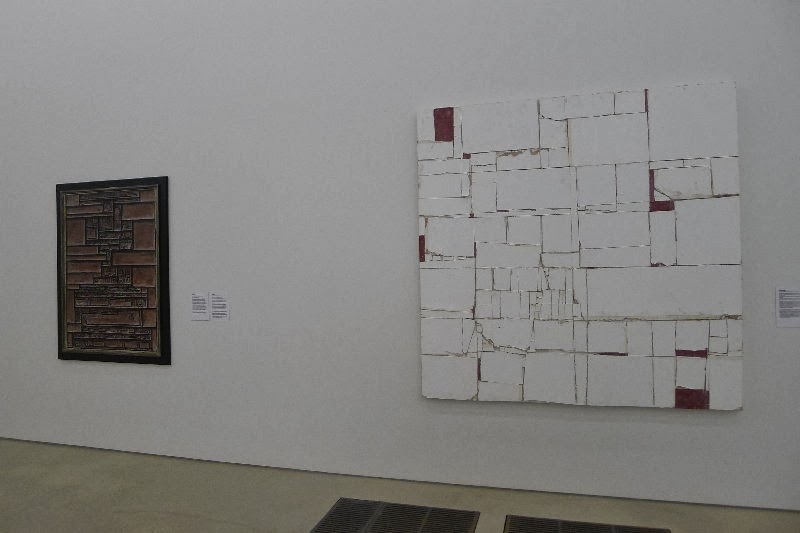 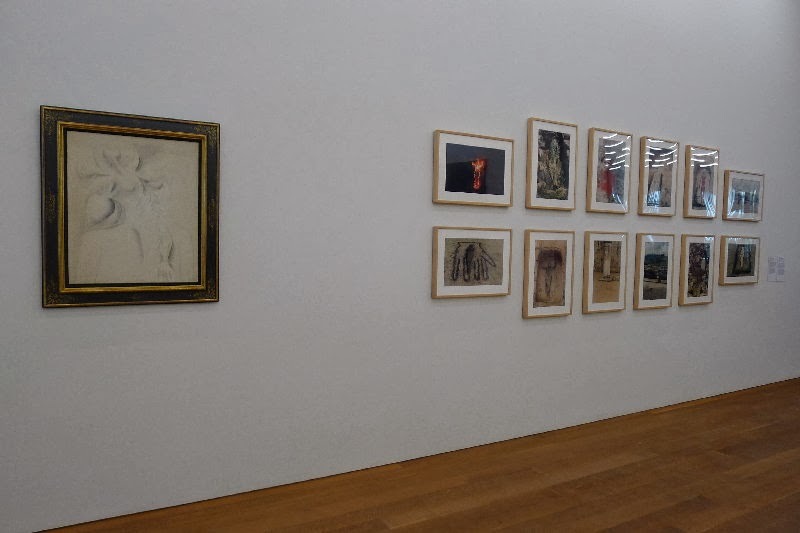 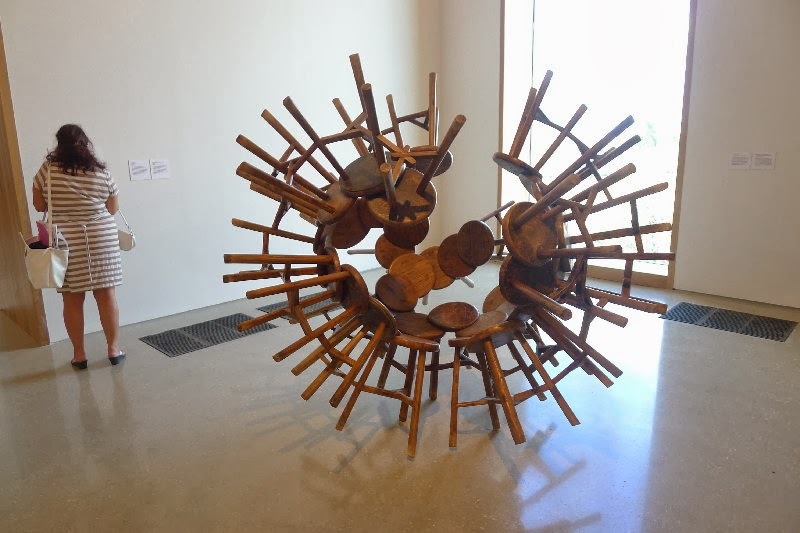 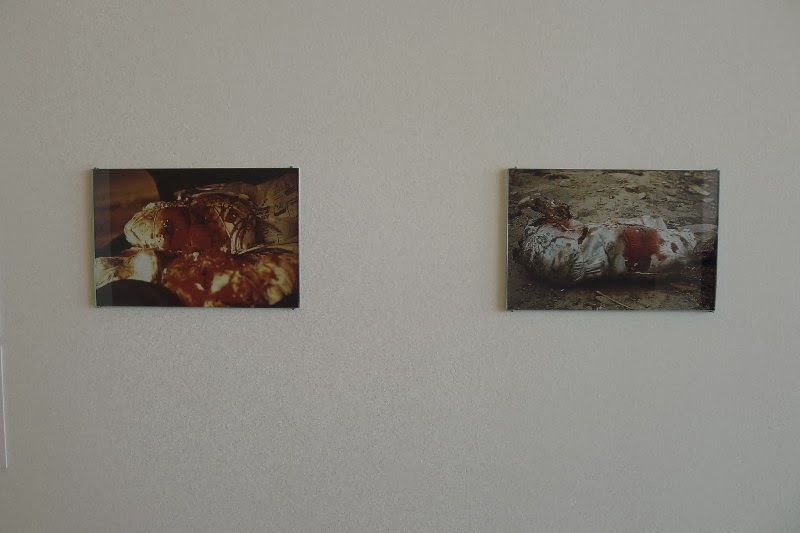 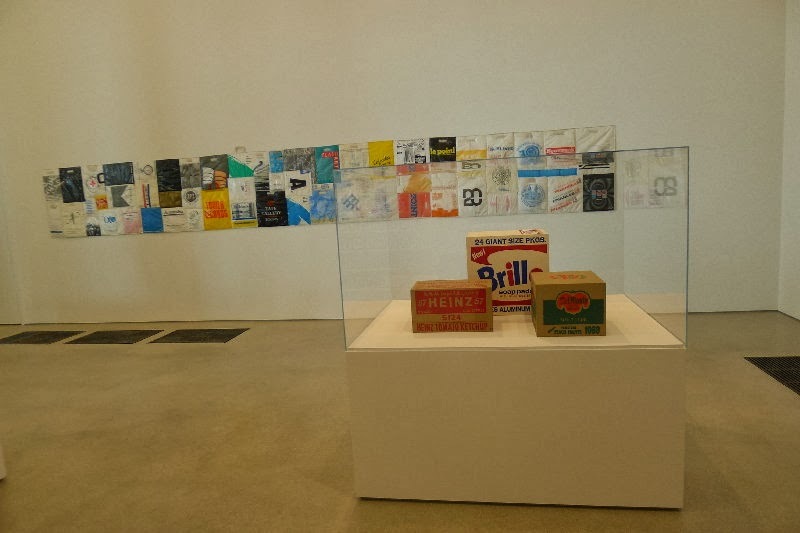 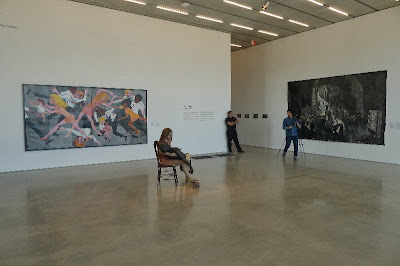 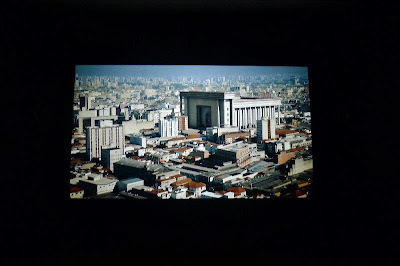 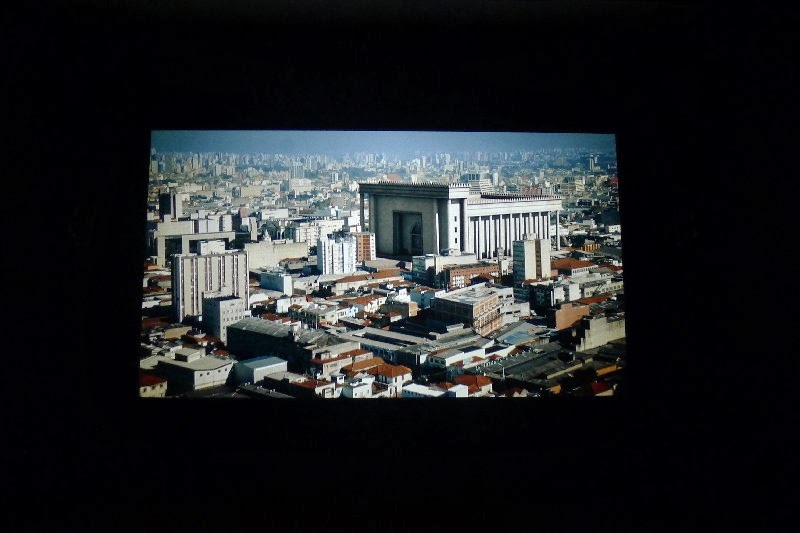 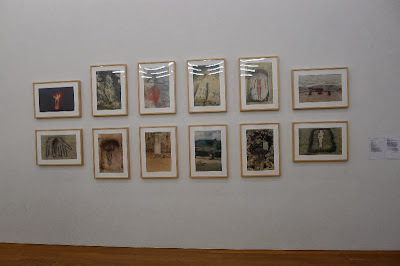 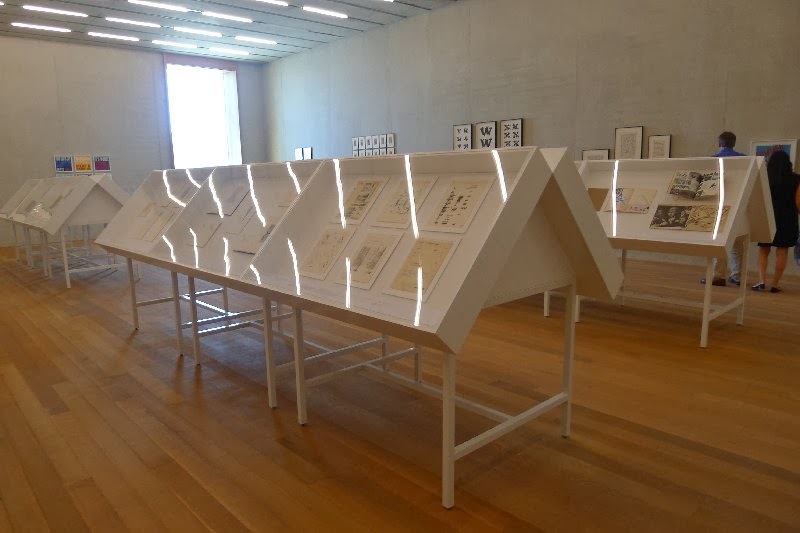 Through the incorporation of works from Latin American and Caribbean origin, exhibited together with North American works, Americana creates new historical narratives through the juxtaposition of these works and histories, which today can no longer continue to be read as other or parallel histories, but need to be read as equal histories coexisting in same spatial temporalities. Often referred to as the Switzerland of Central America, Costa Rica prides itself on having no army and—unlike its Central American neighbors—has managed to avoid civil war and other military conflict. 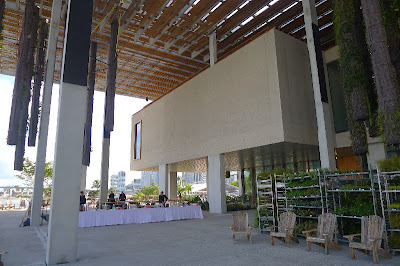 Costa Rica has a reputation for biodiversity and environmental protectionism; its jungles and beaches are favorite spots for eco-tourists (who generally favor them over San José), and the country is ranked as the happiest on earth by the Happy Planet Index. 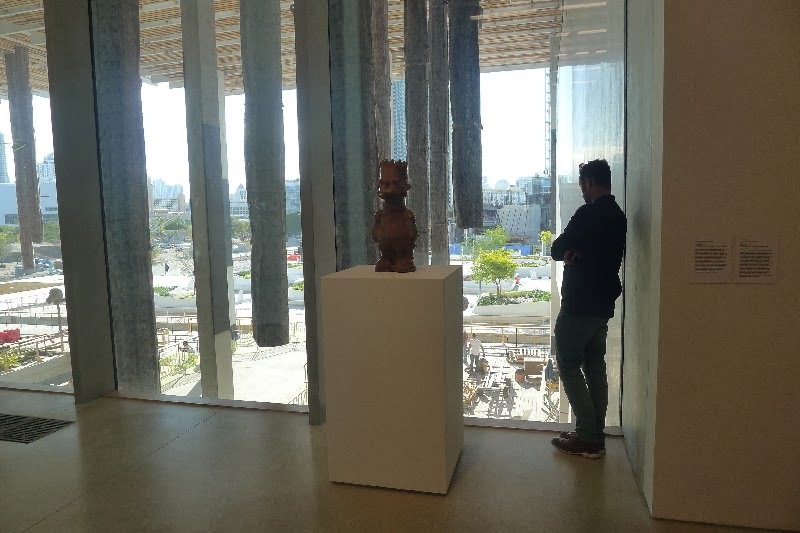 However, Costa Ricans do tend to think of themselves as “whiter” than their more indigenous Central American neighbors, an attitude that has given rise to racist prejudice against those perceived as darker, especially immigrants from bordering countries. 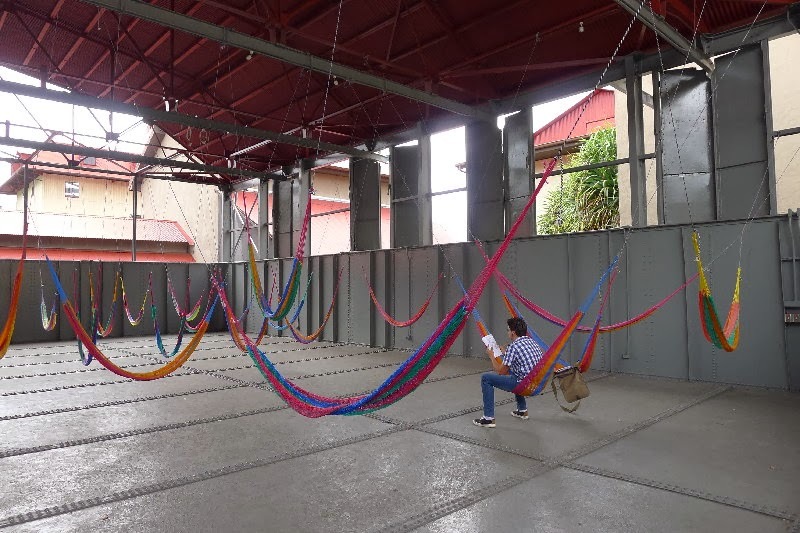 Pictured here is Jungla de Hamacas (Hammock Jungle) was an intervention by Bureau de Intervenciones Publicas (BIP), part of Proyectos Ultravioleta’s exhibition in MADC’s Pila de Melaza (Molasses Fermenting Tank), a space now used for large-scale installations and performances.